DNA Key Chain 12 Pack under a microscope! 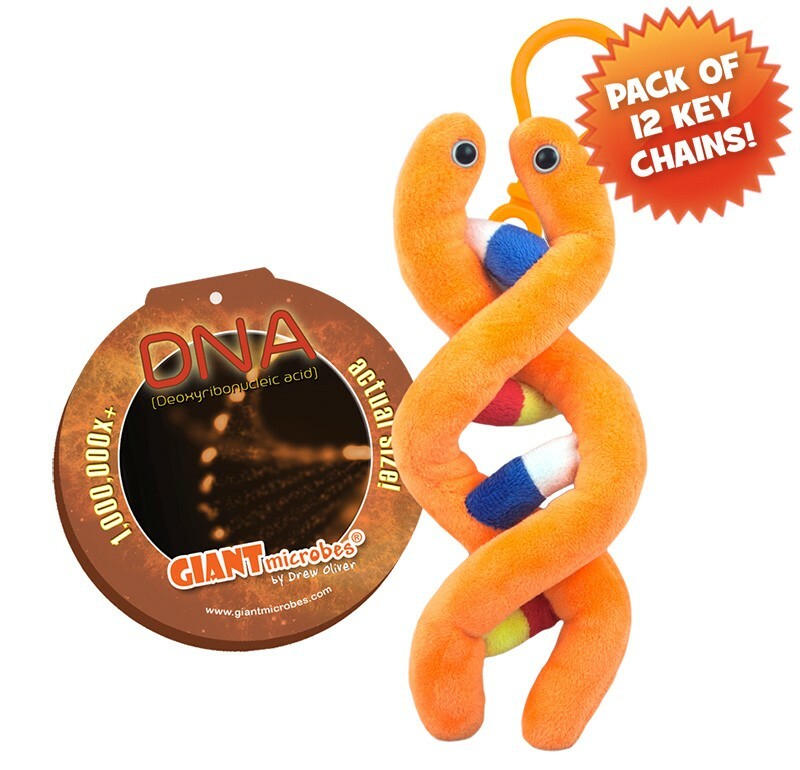 Pack of 12 DNA mini microbes (3") with mini-tag and key chain clip. DNA is the set of biological instructions that are unique to every living creature on Earth. Inside a person DNA, you could find instructions for every millimeter of their body. Even though 99.9% of human DNA sequence is the same, the odds of two people have this same exact DNA profile is one in a billion! The name describes the molecule’s chemical structure consisting of a sugar, phosphate, and base. The entire human genome contains is made up of about 20 thousand genes. That’s over 3 billion nucleotide bases. Unwrapping all the DNA in a human body is enough to reach the moon 6000 times! DNA stands for Deoxyribonucleic acid. It’s the genetic material and basis of life for nearly all living organisms, made of chemical building blocks called nucleotides. The nucleotides are cross-linked into double-stranded chains and packaged neatly into chromosomes. Nucleotide bases form sequences called genes, which code for proteins. 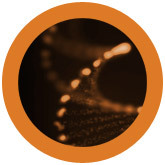 This genetic material was first discovered in 1869 by Friedrich Meischer. Nearly a century later, in the early 1950’s, James Watson and Francis Crick to discovered its double-helix structure. The Human Genome Project was an international collaboration to sequence and map the entire human genome. In February 2001, the International Human Genome Sequencing Consortium published the first draft of the human genome.